The Collectrium reporting feature provides users with a comprehensive and intuitive experience. Choose from our many template options to run a report instantly or create, duplicate and tweak your own reports. Our editing mode makes it easy to format, change fonts, select attributes and add custom headers and footers. The visually stunning Dashboard feature makes it easy to see trends across your collection according to object Category, Location, Value and more. This tool can be used to gain a better understanding of your collection en mass and also fill in the blanks where needed. Try on Your Wall: See how a piece of art will look hanging on a wall without barely lifting a finger. Presentation Mode: Show off your collection anywhere with presentation mode. The iOS Presentation mode allows users to control what fields are visible so they can pass to a friend or client to scroll through with ease. 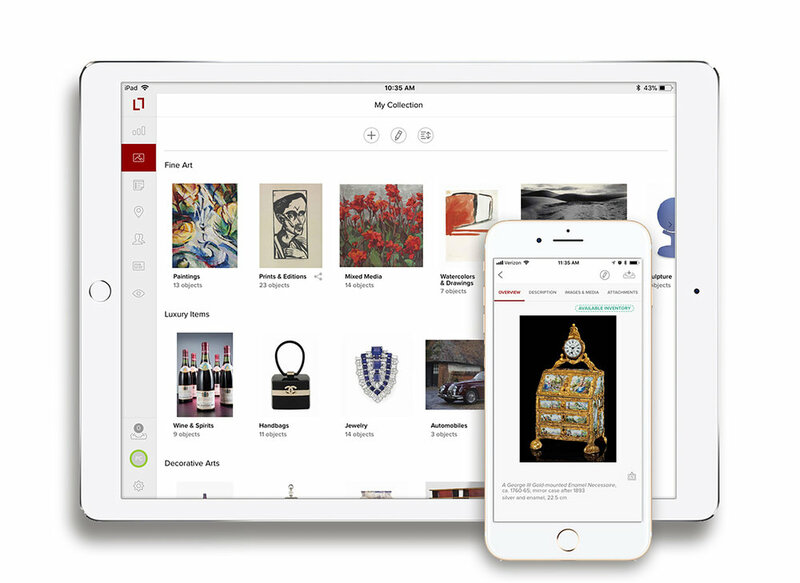 Collectrium offers collectors a secure web platform to manage their high-value fine art and collectibles. Subscribers can access their collection-related data from any internet capable device. The cloud environment allows unlimited storage capacity and mobility. Every component of the Collectrium cloud-based infrastructure, including compartmentalization, server assignment, data storage and processing, is focused on security and privacy. No one can view your information on Collectrium but you as the Account Owner, and any users you nominate. Everything you enter is encrypted and stored at data centers with bank-level security, keeping it private and confidential no matter where you’re accessing it from.